Company furnishes masterchefcasting.com and the Company Services for your personal enjoyment and entertainment. By visiting masterchefcasting.com (whether or not you are a registered member) or using the Company Services, you accept and agree to be bound by this Agreement, including any future modifications (“Agreement”), and to abide by all applicable laws, rules and regulations (“Applicable Law”). Please read through this Agreement carefully. Company may modify this Agreement at any time, and each such modification will be effective upon posting on masterchefcasting.com. All material modifications will apply prospectively only. Your continued use of masterchefcasting.com or the Company Services following any modification of this Agreement constitutes your acceptance of and agreement to be bound by the Agreement as modified. It is therefore important that you review this Agreement regularly. If you do not agree to be bound by this Agreement and to abide by all Applicable Law, you must discontinue use of the Company Services immediately. PLEASE NOTE THAT THE “ARBITRATION AGREEMENT” SECTION BELOW CONTAINS PROVISIONS THAT REQUIRE (i) WITH LIMITED EXCEPTIONS, ALL DISPUTES ARISING BETWEEN YOU AND COMPANY UNDER THIS AGREEMENT BE HANDLED BY ARBITRATION, AND (ii) YOU AND COMPANY WAIVE THE RIGHT TO BRING OR PARTICIPATE IN A CLASS ACTION IN CONNECTION WITH SUCH DISPUTES. All registration information you submit to create an account must be accurate and kept up to date. It is your responsibility to notify us of any changes in such information, including but not limited to your contact information. You are responsible for maintaining the confidentiality of your password and are responsible for all use of your account. It is therefore critical that you do not share your password with anyone. You agree not to use the account, username, email address or password of another at any time and not to allow any other person to use your account. You agree to sign out of your account each time you conclude a visit to masterchefcasting.com. Your account is not transferable. You agree to notify Company immediately if you suspect any unauthorized use of, or access to, your account or password. Unless terminated by Company in its sole discretion, this Agreement remains in full force and effect while you use the Company Services. 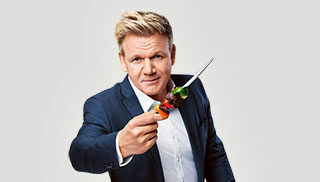 You may terminate your account/subscription to the Company Services at any time, for any or no reason, with or without prior notice or explanation on Masterchefcasting.com at any time, for any reason, by sending an email to LegalNotices@endemolshine.us with “Endemol Shine Terminate Account” in the subject line. Company may terminate your account and/or access to the Company Services at any time, for any or no reason, with or without prior notice or explanation, and without liability. Even after your user account or access to the Company Services is terminated by you or by Company, this Agreement will remain in effect with respect to your past and future use of Masterchefcasting.com or the Company Services. Any rights to your account terminate upon your death. The Company Services are offered for your personal use only and may not be used for commercial purposes. The Company Services contain information, text, files, images, video, sounds, musical works, works of authorship, software, applications, product names, company names, trade names, logos, designs, and any other materials or content (collectively, “Content”) of Company, its licensors, or assignors (“Company Content”), as well as Content provided by users or other third parties. Content contained in the Company Services is protected by copyright, trademark, patent, trade secret and other laws and, as between you and Company, Company, its licensors, or its assignors, own and retain all rights in the Company Content. Company hereby grants you a limited, revocable, non-sublicensable license to access and display or perform the Company Content (excluding any software code) solely for your personal, non- commercial use in connection with using the Company Services. Except as provided in this Agreement or as explicitly allowed on the Company Services, you may not copy, download, stream capture, reproduce, duplicate, archive, upload, modify, translate, publish, broadcast, transmit, retransmit, distribute, perform, display, sell, frame or deep-link, make available, or otherwise use any Content contained in the Company Services. You understand that you are responsible for all Content that you post, upload, transmit, email or otherwise make available on Masterchefcasting.com or on, through or in connection with the Company Services (collectively, “User Content”). Additionally, you acknowledge that you have no expectation of privacy in or confidentiality with respect to your User Content. Accordingly, please choose User Content carefully. You acknowledge, consent and agree that Company may access, preserve or disclose information you provide to Masterchefcasting.com, including User Content and your account registration information, including when Company has a good faith belief that such access, preservation or disclosure is necessary in order to: (i) protect, enforce, or defend the legal rights, privacy, safety, or property of Company, our parents, subsidiaries or affiliates (“Company Affiliates”), or their employees, agents and contractors (including enforcement of this Agreement or our other agreements); (ii) protect the safety, privacy, and security of users of the Company Services or members of the public including in urgent circumstances; (iii) protect against fraud or for risk management purposes; (iv) comply with the law or legal process; or (v) respond to requests from public and government authorities. If Company sells all or part of its business or makes a sale or transfer of its assets or is otherwise involved in a merger or transfer of all or a material part of its business, Company may transfer your information to the party or parties involved in the transaction as part of that transaction. 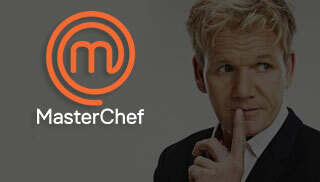 If you delete your User Content from Masterchefcasting.com, Company’s license to such User Content will end after a reasonable period of time necessary for the deletion to take full effect. However, the User Content may be retained in the Company’s back-up copies of Masterchefcasting.com, which are not publicly available. Furthermore, to the extent that Company made use of your User Content before you deleted it, Company will retain the right to make such pre-existing uses even after your User Content is deleted. You acknowledge that (i) deletion of your User Content from Masterchefcasting.com will not result in, and Company assumes no responsibility for, the deletion of such User Content by any third parties who were provided with or had access to such User Content prior to your deleting it from Masterchefcasting.com, and (ii) termination of your account or your use of the Company Services will not result in the immediate or automatic deletion of your User Content consistent with this Agreement. If you believe that any material residing on or linked to from Company Services infringes your copyright, you must send Company’s designated Copyright Agent a written notification of claimed infringement that contains substantially all of the following information: (a) identification of the copyrighted work claimed to have been infringed, or, if multiple copyrighted works are covered by a single notification, a representative list of such works; (b) identification of the claimed infringing material and information reasonably sufficient to permit us to locate the material on the Company Services (such as the URL(s) of the claimed infringing material); (c) information reasonably sufficient to permit us to contact you, such as an address, telephone number, and an email address; (d) a statement by you that you have a good faith belief that the disputed use is not authorized by the copyright owner, its agent, or the law; (e) a statement by you that the above information in your notification is accurate and a statement by you, made under penalty of perjury, that you are the owner of an exclusive right that is allegedly infringed or are authorized to act on the owner’s behalf; and (f) your physical or electronic signature. If you posted material to Company Services that Company removed due to a notice of claimed infringement from a copyright owner, Company will take reasonable steps promptly to notify you that the material has been removed or disabled. This notice may be by means of a general notice on Masterchefcasting.com or by written or electronic communication to such address(es) you have provided to Company, if any. You may provide counter-notification in response to such notice in a written communication that includes substantially all of the following: (i) identification of the material that has been removed or to which access has been disabled and the location at which the material appeared before it was removed or access to it was disabled; (ii) a statement by you, under penalty of perjury, that you have a good faith belief that the material was removed or disabled as a result of mistake or misidentification of the material to be removed or disabled; (iii) your name, address, telephone number, and a statement that you consent to the jurisdiction of the Federal District Court for the judicial district in which your address is located, or if your address is outside of the United States, for any judicial district in which Company may be found, and that you will accept service of process from the person who provided notification requesting the removal or disabling of access to the material or such person’s agent; and (iv) your physical or electronic signature. You understand that Company does not control the User Content posted by users via the Company Services and, as such, you understand you may be exposed to offensive, inaccurate or otherwise objectionable User Content. Company assumes no responsibility or liability for this type of Content. If you become aware of any misuse of the Company Services, including in violation of any “Restrictions on Use of Company Services,” please report it immediately to Company LegalNotices@enedemolshine.us. Company assumes no responsibility for monitoring the Company Services for inappropriate User Content or user conduct. If at any time, Company chooses in its sole discretion to monitor the Company Services, Company nonetheless assumes no responsibility for Content other than Company Content, no obligation to modify or remove any inappropriate Content, and no responsibility for the conduct of any user. You are solely responsible for your interactions with other users of Masterchefcasting.com and the Company Services, providers of Third Party Services or any other parties with whom you interact on, through or in connection with the Company Services. Company reserves the right, but has no obligation, to become involved in any way with any disputes between you and such parties. *Masterchefcasting.com/privacy , which is incorporated into and is a part of this Agreement by this reference. YOU ACKNOWLEDGE AND AGREE THAT ANY DAMAGES YOU INCUR ARISING OUT OF COMPANY’S ACTS OR OMISSIONS OR YOUR USE OF MASTERCHEFCASTING.COM OR THE COMPANY SERVICES ARE NOT IRREPARABLE AND ARE INSUFFICIENT TO ENTITLE YOU TO AN INJUNCTION OR OTHER EQUITABLE RELIEF RESTRICTING THE AVAILABILITY OF OR ANY PERSON’S ABILITY TO ACCESS ANY PORTION OF MASTERCHEFCASTING.COM OR THE COMPANY SERVICES. Company provides the Company Services in the United States of America. Company does not represent that the Company Content or the Company Services are appropriate (or, in some cases, available) for use in other locations. 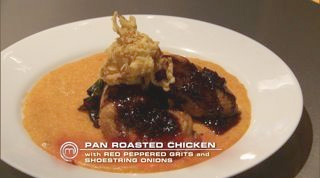 If you use Masterchefcasting.com or the Company Services from a jurisdiction other than the United States, you agree that you do so of your own initiative, and you are responsible for complying with local laws as applicable to your use of Masterchefcasting.com or the Company Services. YOU AGREE THAT ANY CAUSE OF ACTION YOU MAY HAVE ARISING OUT OF OR RELATED TO THIS AGREEMENT, MASTERCHEFCASTING.COM OR THE COMPANY SERVICES MUST BE COMMENCED WITHIN ONE (1) YEAR AFTER SUCH CAUSE OF ACTION ACCRUES. AFTER SUCH PERIOD, SUCH CAUSE OF ACTION SHALL BE PERMANENTLY BARRED. You agree to indemnify and hold Company, its Company Affiliates, subcontractors and other partners, and their respective officers, agents, partners and employees, harmless from any loss, liability, claim, or demand, including, but not limited to, reasonable attorneys’ fees, made by any third party due to or arising out of or in connection with your use or misuse of Masterchefcasting.com or the Company Services (including, without, limitation, any use of your account, whether or not authorized by you), your breach of this Agreement, your violation of any rights of another or any Content that you Transmit through the Company Services. You agree that any notices the Company may be required by Applicable Law to send to you will be effective upon Company’s sending an e-mail message to the e-mail address you have on file with Company or publishing such notices on the informational page(s) of Masterchefcasting.com. Please contact us at: LegalNotices@endemolshine.us with any questions regarding this Agreement.